The 2012 double album collection devoted to the works of Motown session keyboardist (and Funk Brother extraordinaire) Earl Van Dyke. Originally, some of the Hitsville studio musicians would be „allowed“ to cut soulful Blues and Jazz tracks for the company's Workshop Jazz label, as long as they handled the regular gig, cutting hits on the Hitsville U.S.A. assembly line. By 1964, however, Workshop Jazz was dead. 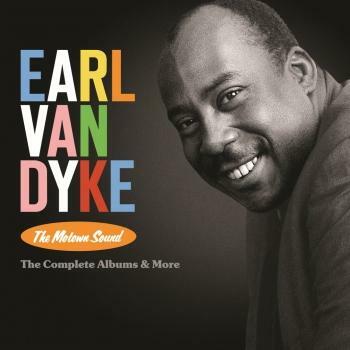 Motown made good on their promise, somewhat, giving Earl Van Dyke a rare opportunity in the spotlight by issuing in his name a single and a subsequent LP, That Motown Sound. Earl's artistic disappointment belies the gems contained within those vocal-less Motown hits and the additional bonus tracks from Motown's vaults that comprise Disc One of this set.